Please contact us by email initially with an indication of dates for your visit so that we can check availability. 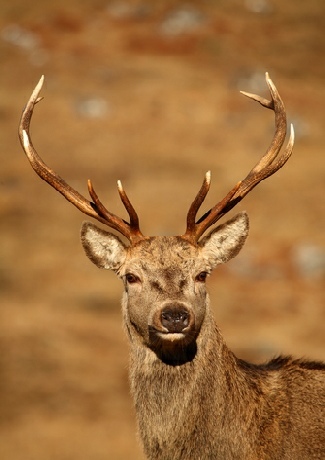 Deer stalking is the term used in Scotland for hunting and shooting deer. It is an important part of modern day land management which contributes to the local economy, helps protect many native plants and species and maintain a healthy and strong population of deer. 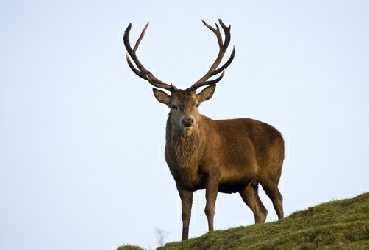 Red Deer have existed in Scotland for thousands of years but as the Caledonia Forest of old were cleared as the need to develop farms arose, the deer moved to poorer and harsher environment and it is thought that, as a result of this, the modern Red Deer is smaller in size than its ancestors. Numbers have fluctuated over the centuries, with a low point towards the end of the 18th century but as Victorian culture brought changes to our country deer stalking became more fashionable on Highland Estates where shooting lodges, such as Dalreavoch, were established. This encourage the managed return of deer in general, particularly the Red Deer but also Roe and Sika. The management of deer for sport and food is a very old Scottish Tradition going back centuries. Our approach is to take the stag or hind off the hill to the venison larder. Deer stalking is a traditional activity in Scotland, a link to the traditional culture of the Highlands and is not just about the kill. It must be part of the overall land management plan which is aimed at reducing the near-chronic over population of red deer in Scotland, as well as the growing population of roe deer. Dunrobin Sporting works closely with Sutherland Estates in offering stalking at appropriate times of the season. Packages on a weekly (occasionally daily) basis are available for an agreed number of deer in relation to successful stalks.